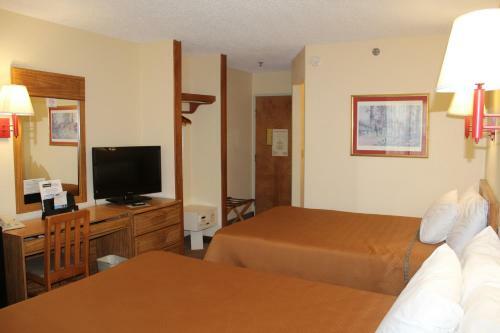 Description This Perry, Georgia hotel has an outdoor pool, non-smoking guest rooms and free breakfast. 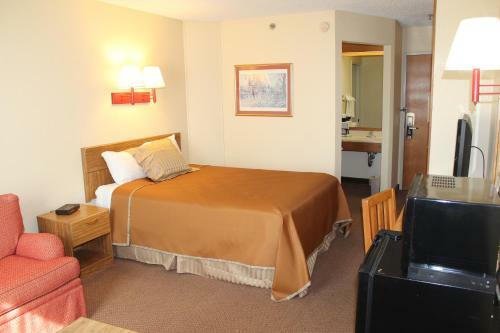 Offering buffet breakfasts free Wi-Fi and an outdoor pool the Travelodge Perry GA is a convenient choice for our guests on a budget. 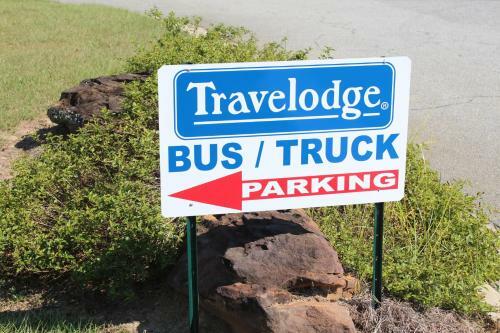 The two-story Travelodge Perry GA has 62 rooms with flat-panel cable TVs coffeemakers and free Wi-Fi and free local calls. 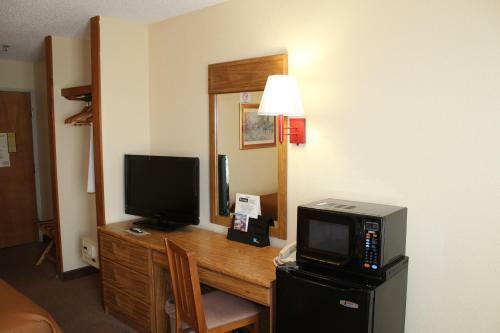 Rooms with microwaves and mini-fridges are available. 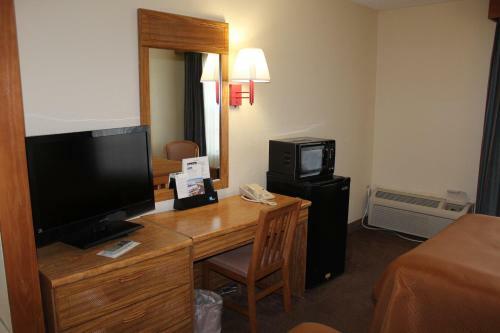 The continental breakfast includes hot items to warm up your morning. Soak in some Georgia sunshine while enjoying a dip in the seasonal outdoor pool. Copy and fax services are available. 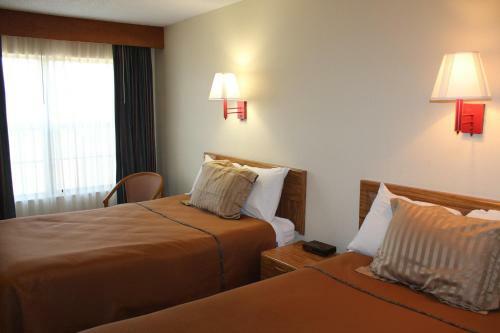 The hotel has shuttle service to and from Hartsfield-Jackson Atlanta International Airport for a fee. 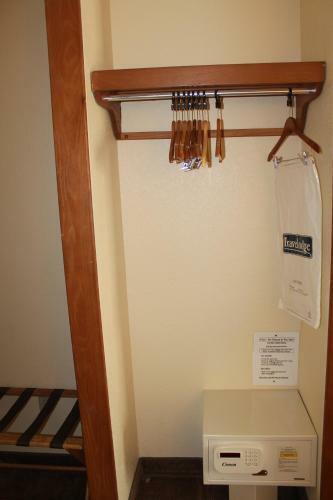 The on-site guest laundry lets you refresh your wardrobe. Parking is free. Just off I-75 the hotel is less than a mile from the Georgia National Fairgrounds. 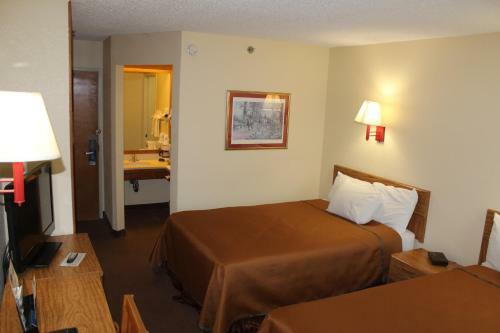 Several restaurants surround the hotel and many more are less than two miles away in the historic downtown. 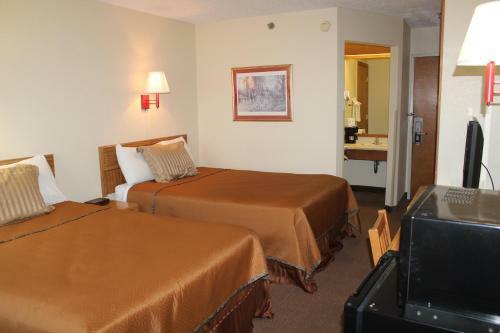 The hotel is 10 minutes from the Perry Hospital and the Houston County Courthouse. Robins Air Force Base the Aviation Museum and Middle Georgia Regional Airport are approximately 40 minutes from the hotel. Hartsfield-Jackson Atlanta International Airport is 100 miles away. 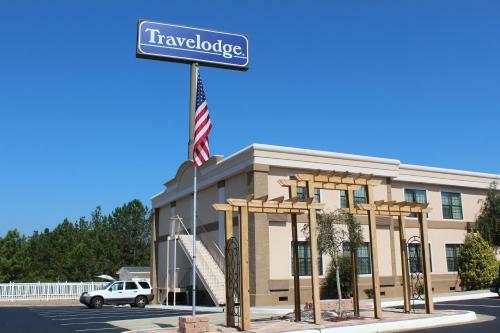 Add Travelodge By Wyndham Perry Ga to your free online travel itinerary.